What makes a good book? Well, a riveting plot helps, as do believable characters and masterful writing that makes it impossible to put the book down. Rarely do you find a book that combines all these elements and more. 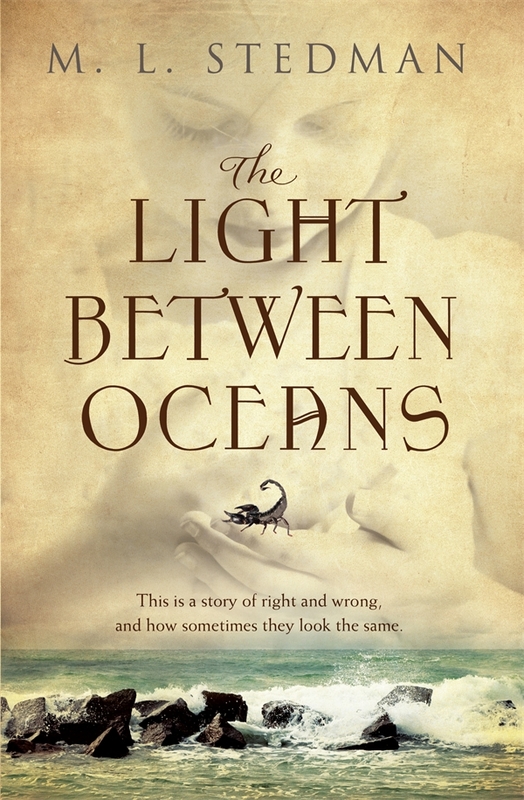 The Light Between Oceans by M.L Stedman is such a book. It is both a critic’s darling and a reader’s delight. I bought it on Saturday and finished it on Monday night, having a good weep as I read the final pages. This book is both heart-wrenching and gut-wrenching. And if I could think of another ‘wrenching’ it would be that as well. The story is set in the 1920s in a remote corner of Western Australia. Tom Sherbourne is a man still haunted by the things he saw and did during World War One. He is a decorated soldier who doesn’t want to dwell on the past and sees no glory in what he did during the war. He finds solace by becoming a lighthouse keeper. There’s something about maintaining a beacon of light that soothes his soul. He also doesn’t mind the isolation. Tom’s job brings him to the small town of Point Partageuse and then out to a tiny island called Janus Rock. From the lighthouse he can see where two oceans meet: the Indian Ocean and the Southern Ocean. He is the sole occupant of the island and only sees people from the mainland every three months when the supply boat comes out. He gets shore leave very rarely.Before he took up this post, he met Isabel, the 19-year-old daughter of the local headmaster. She is lively and vibrant, full of life. After a time of exchanging letters, they marry and she goes to live with Tom on Janus Rock. Two miscarriages and a stillbirth later, Isabel is a shell of her former self, stricken by grief at her loss. That is until the day a boat washes up on the island, carrying a dead man and a crying baby girl. It’s Tom’s duty to report the incident at once, but Isabel has other ideas. Tom reluctantly agrees to keep the baby and pretend she’s their own. But where does the baby come from? Who does she belong to? And what will happen if the truth should ever come to light? I don’t want to give away any more of the story because not knowing what will happen next is one of the strengths of this book. The language is exquisite, beautifully crafted without isolating the reader. The characters are three-dimensional and constructed so well that you care what happens to them. And the dialogue evokes the bygone era. This book also seamlessly explores themes of loss, love and family. It’s no wonder that this debut novel has been snapped up in twenty territories so far. Now I’m left to wait impatiently for the next book by M.L. Stedman. Previous Article Books to Get Excited About!! That’s great! When you’ve read it, let me know what you think. And so the “to read list” grows. This book sounds amazing! Sounds like a good read – thanks – it is now on my list.